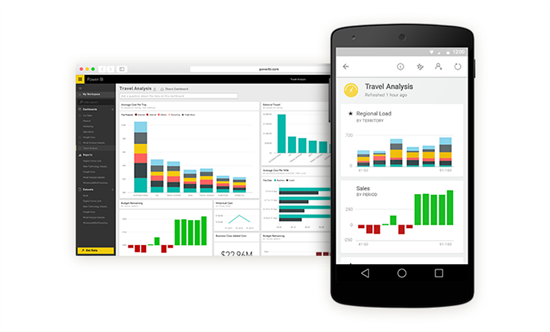 We are glad to announce another batch of updates to Power BI Mobile apps, including iOS, Android and Windows apps! If you haven’t heard a lot from us lately it’s because we have been working hard to improve our apps experience, performance and quality based on your feedback. Stay tuned for more apps improvements news coming soon on this blog. 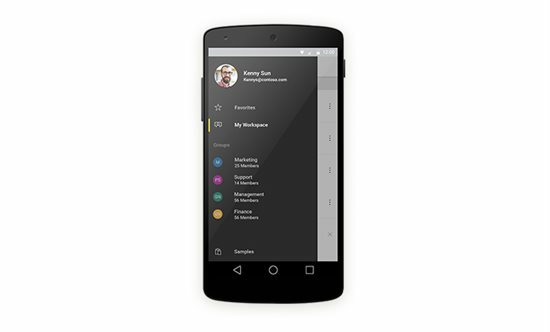 We improved the Android app’s navigation from tabs to drawer to optimize your experience, maximize available screen real-estate and enable easier and more intuitive navigation through the app’s features. A recently added feature in Power BI allows you to control and customize your reports and tile visualizations colors. And with our latest mobile updates, you now can consume those custom-colored visualizations in your mobile apps. Power BI apps for iPad and Windows now enable you to natively explore and analyze your Excel workbooks (XLSX or XLSM) connected to Power BI. Learn more on connecting Excel reports to Power BI. This cool new capability allows you to browse back and forth through dashboard tiles, exploring them sequentially directly when in focus without the need to return back to the dashboard and select the next tile. (To focus on a tile simply tap it in your dashboard) This new experience allows quicker and simpler navigation between your mobile dashboard tiles. We improved and added new messaging as part of the app login process to help users understand and troubleshoot different authentication issues for easier and faster resolution. Looking for more? Have feedback to share? We encourage you to contact us! Add your suggestions for new features or vote for already suggested ideas on the Power BI Mobile feedback forum. Stay tuned for more new and existing content coming soon on the Power BI blog.